True Stories about how fashion has made a difference in our lives. "If Our Clothes Could Talk" stories celebrate the diversity of people's experiences in wearing, designing and connecting with life through clothing. Submit your photos with a poem or story (150 words or less) of your favorite outfit from The Wardrobe. Tell us why you loved wearing it and you could win a $50 gift card and be featured on our blog! Click here to send us your photos along with your story! The Art of Color Workshop on September 19th was a huge success. Friends came from all over the area to see how a spin of the color wheel could brighten their day (and Fall wardrobe!) There was tea and fresh figs to share. Color is mood food. Just as we have food that feeds our bodies, color feeds our emotions. 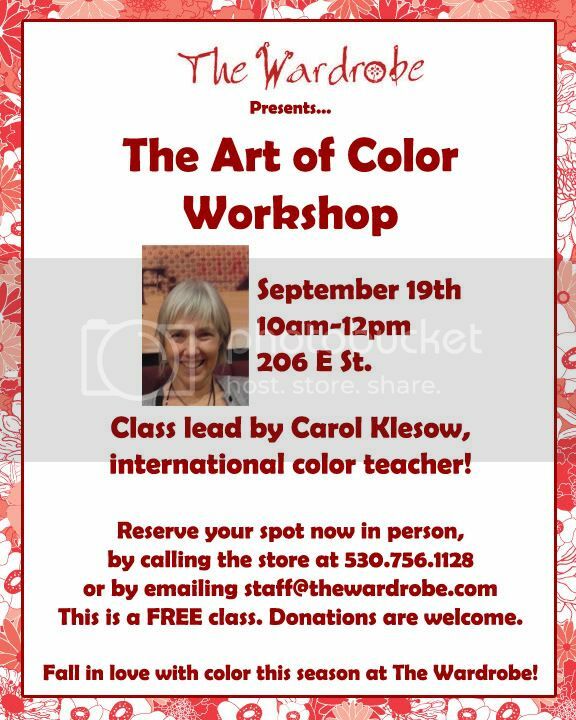 Carol Klesow, international color teacher of Aura-Soma and AuraJin assisted the class. I really look forward to working with her again! Here's a preview of my trip to New York! 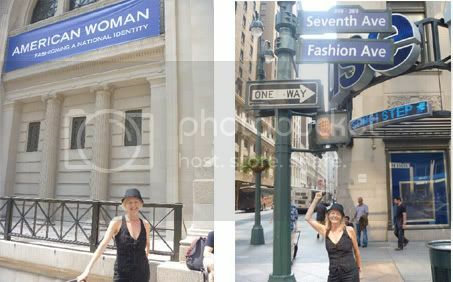 On my recent trip to New York City, I was excited to be able to attend American Woman: Fashioning a National Identity at the Metropolitan Museum of Art. The exhibit was drawn from the newly established Brooklyn Museum Costume Collection at the Met. American Woman examines different perceptions of the modern American woman from the 1890s to the 1940s and how they have affected the way American women are seen today. It interested me to see how the American Woman reinvented her femininity, especially thorough her dress. More from my visit to come! The Wardrobe is a place to experience the joy that comes from discovering one's truest self through color, beauty and self-adornment. 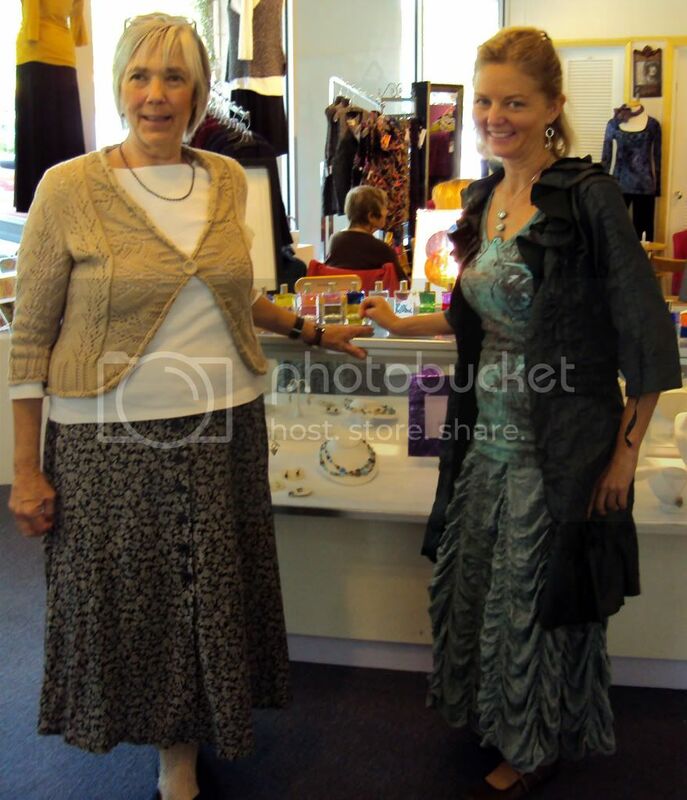 Our store is an "art couture boutique," featuring artful, timeless, and feminine fashions and jewels. We feature primarily California designers and believe in practicing a sustainable model of business that supports the local economy. My fashion philosophy is to inspire and celebrate the art of becoming you. Having owned the Wardrobe boutique since 1987, I continue to work as a stylist and educate the public in the art of self-adornment.